Hmm, I wonder what’s inside. I was recently selected to be a PopSugar Select Fitness and Food Blogger. Woo hoo. So awesome. 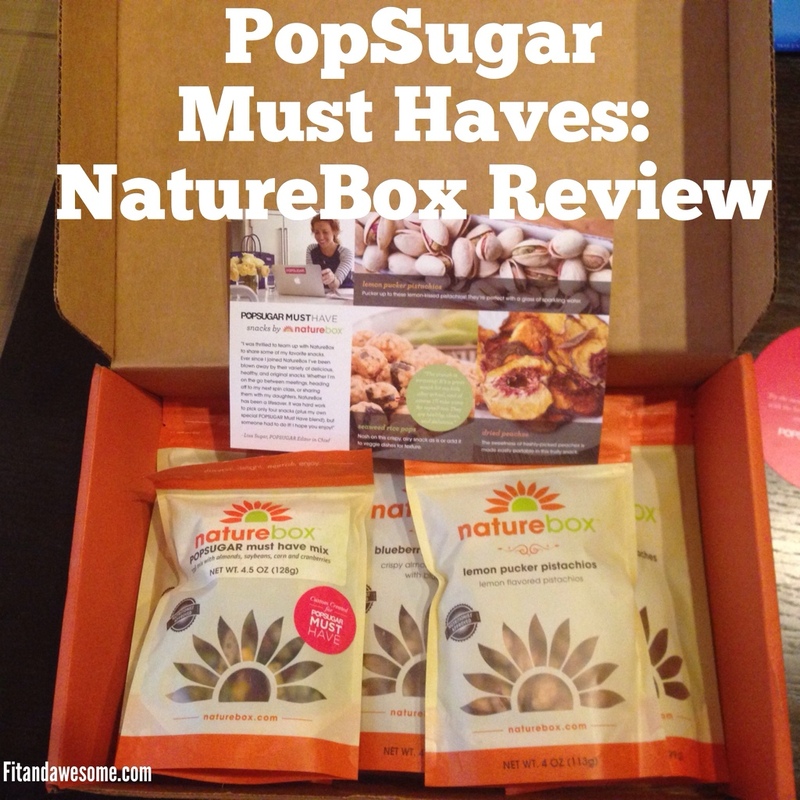 One of the first opportunities I’ve had to work with Popsugar is on their Must Have NatureBox. I received a sample of the Popsugar Must Haves NatureBox to try out. 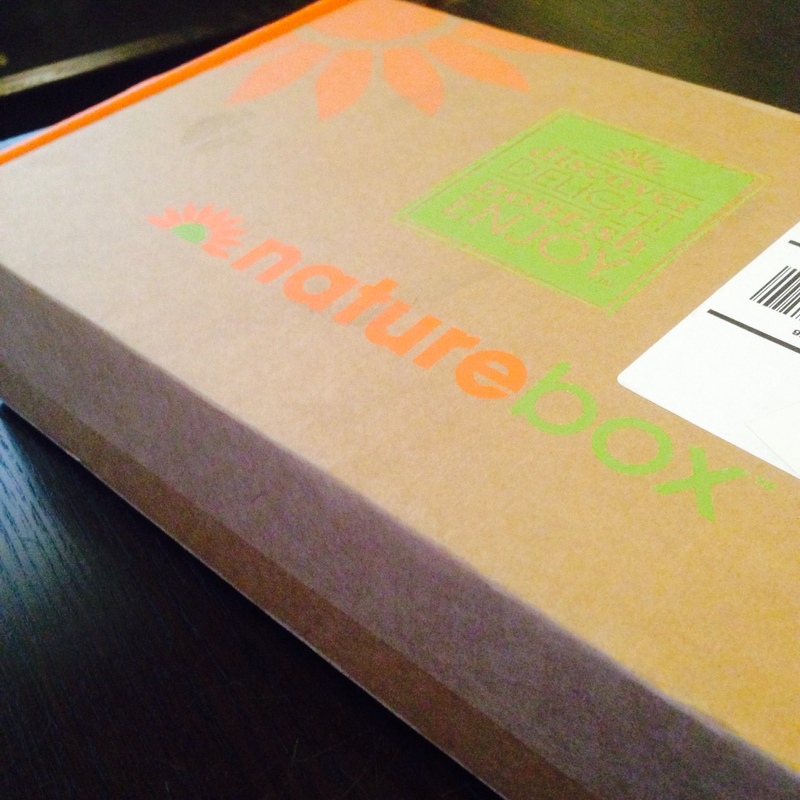 Here’s my NatureBox Review. The first item I tried were the California Dried Peaches. To be honest, I’ve never had a dried peach before. I’ve had dried apples, dried mangoes (love those! ), freeze dried strawberries, but never peaches! There was no added sugar or anything and the only ingredient in these were peaches! I thought the peaches were pretty good but also a bit hard for me to chew, almost like beef jerky. They were really flavorful and tasted very good. Impressive. The next item I tried were the Lemon Pucker Pistachios. They were really good and packed a punch. I always love a hint of flavor in pistachios and these were addicting. I had to put the bag down! They reminded me of my favorite Pistachios from the Santa Barbara Pistachio Company. After that I tried the Blueberry Almond Bites. They are made with almonds, rice squares, and blueberries. The blueberries look like they are dried but they were also really flavorful. I could easily eat a whole bag of these but I had to refrain. All these yummy snacks are too tempting! The next two items were the PopSugar Must Have Mix and the SeaWeed Rice Pops. Sadly these items were not gluten-free so I did not get a chance to try them. The Popsugar Must have mix is a trail mix with almonds, soybeans, corn, cranberries, and wild rice sticks. The rice sticks have wheat in them so they are a no-no for me. The SeaWeed Rice Pops have wheat in the rice sticks and soy sauce so they were a no go for me either. But don’t worry, they did not go to waste. My husband was glad to get some “gluten” in the house and happily snacked on them for me. I was a big fan of the dried peaches, pistachios, and the blueberry almond bites. But two out of the five items in the box were not gluten free, so I would probably not get a NatureBox on my own unless they had a gluten free option or were able to swap out the items for gluten-free items. Yes, I’m picky. But I’m allowed to be, right? 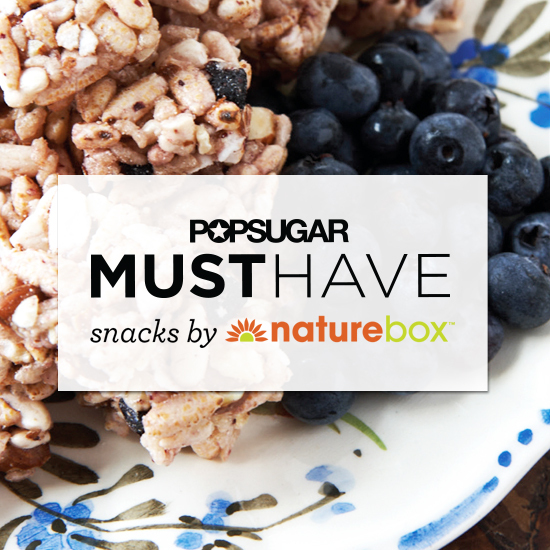 For a limited time, the POPSUGAR Must Have Snacks by NatureBox will be 50% off! The normal price is $19.95. If you are interested you can sign up using this link. Enjoy! What about you? Have you ever tried dried peaches? What are your favorite kind of pistachios? Would you be interested in trying out a service like NatureBox? Post in the comments and let us know! This was a great box of variety! My favorite are the peaches – I’d never had dried peaches so they were a treat. Runner up is the pistachios.